Vcomm is dedicated to designing, manufacturing and supplying innovative, high quality products. 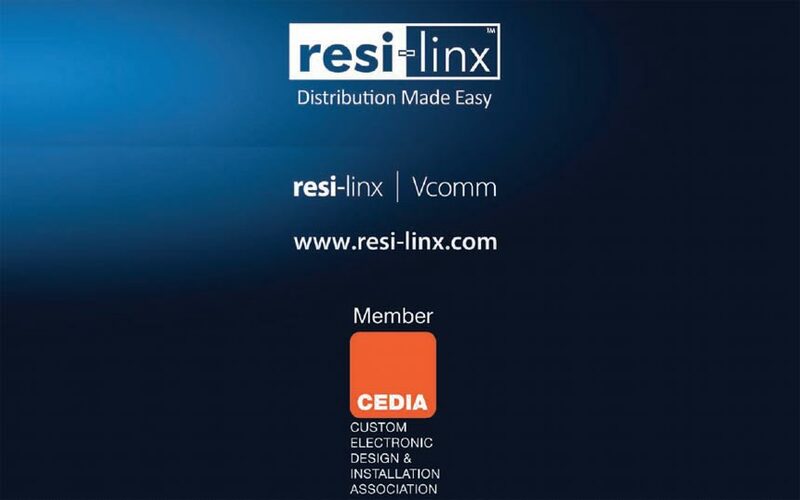 All our resi-linx® products encompass the standards of service, quality & value Vcomm is renowned for. supply-line partners to ensure high customer service levels are met. All our products comply with Australian and New Zealand standards. improving existing designs to stay one step ahead of the market. 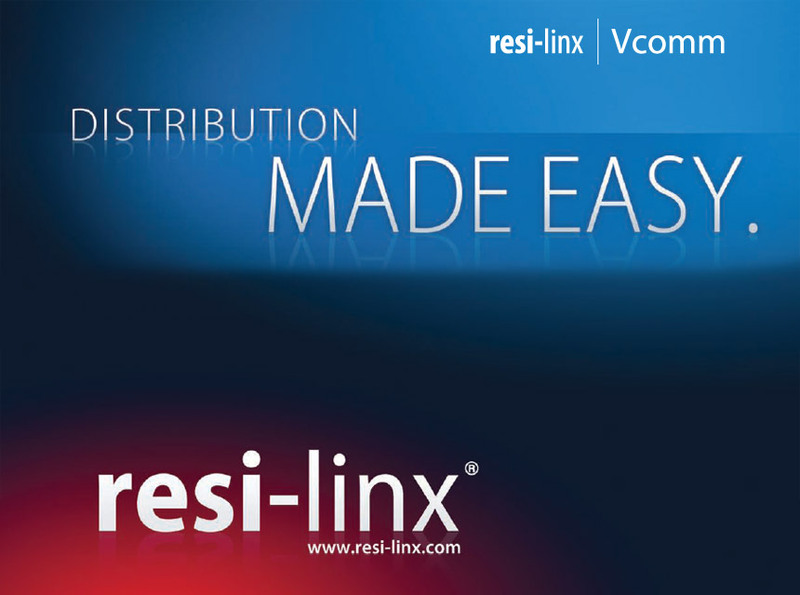 Welcome to the world of Vcomm & resi-linx. 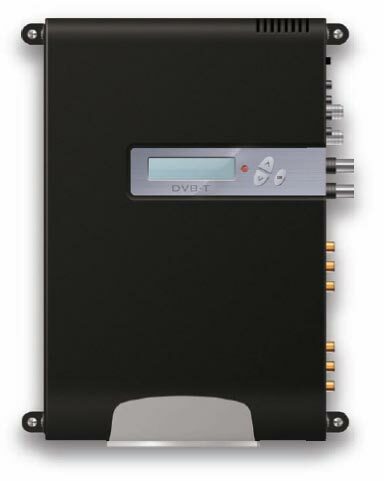 resi-linx digi-MOD modulator range allows you to distribute your AV device/s (Pay TV inc. Foxtel, DVD, DVR, STB etc.) around the home or business with ease. digi-MOD is ideal for new home/business installations wanting a full Digital solution. Combine with the RL-RF380 (3×8 RF Hub) and RL-RF210 (IR Targets) the new digi-MOD range will give you full access and control of your TV/AV system over one RF coaxial cable. Simply install digi-MOD in place of an existing resi-linx analog RF modulator. 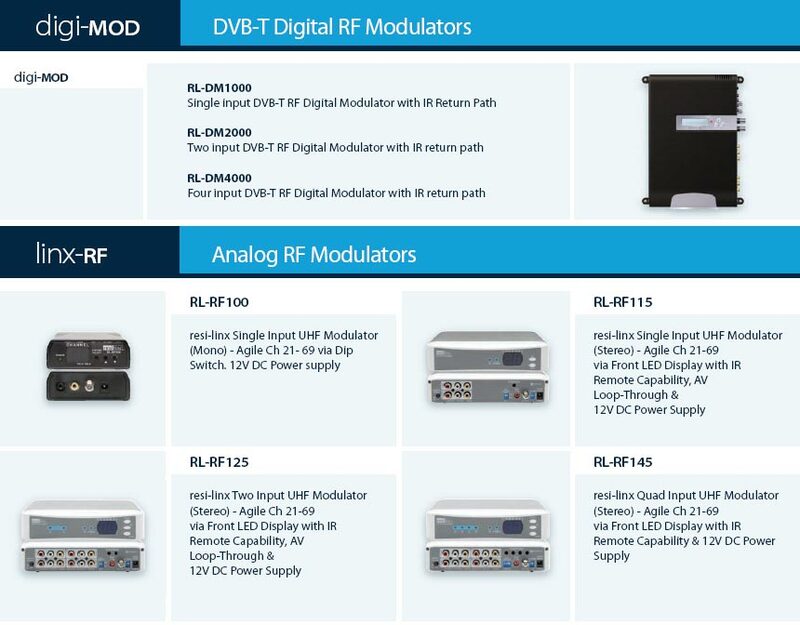 Easily retrotted into existing resi-linx installations, digi-MOD simply replaces an obsolete Analog modulator, upgrading the system to a complete Digital solution, inclusive of IR control. existing digital FTA channels and routes the output to all TV’s via existing or new coaxial RF cables and outlets. digi-MOD can also be used in commercial head-end installations allowing distribution of AV devices on desired DVB-T channels and integration into commercial installations. With the addition of resi-linx Targets and Emitters, you can send an IR signal back down the existing RF cable, allowing control of the AV equipment from the other TV’s around the home. 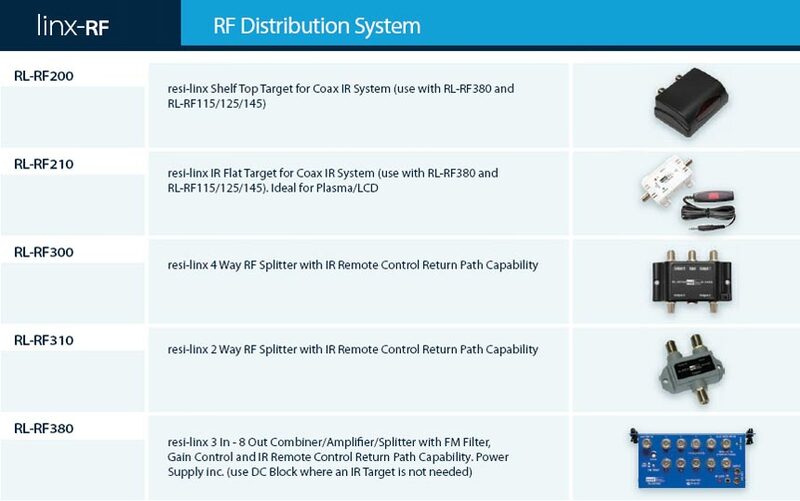 All resi-linx IR systems are LCD/LED Panel and Plasma Friendly, and Foxtel iQ / HD compatible. 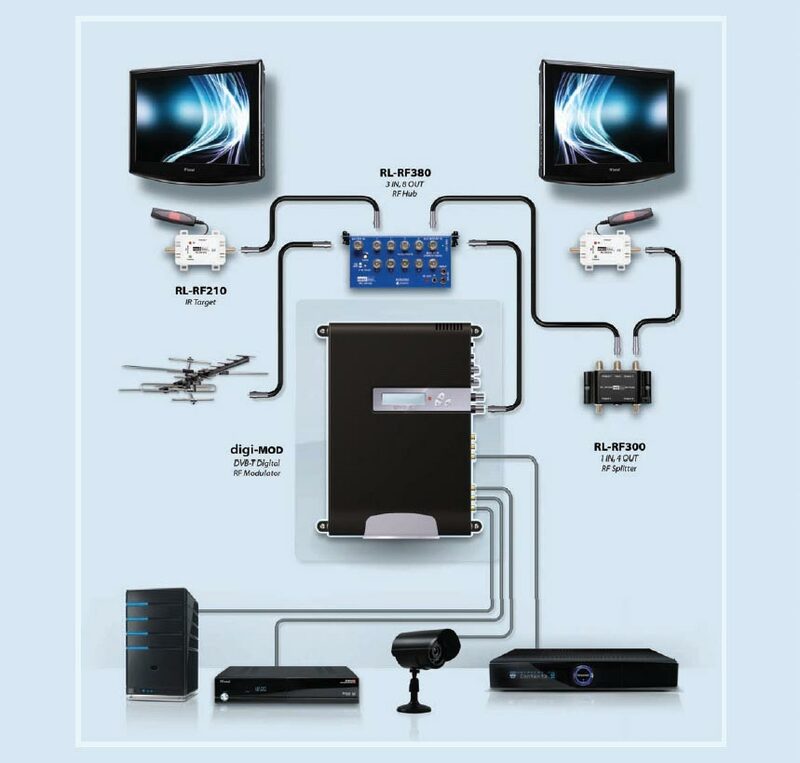 resi-linx Video Hubs are designed for whole house video distribution. 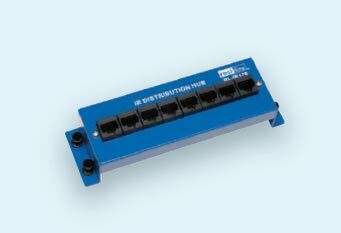 They are active, low loss combiners and splitters with multiple inputs and outputs. 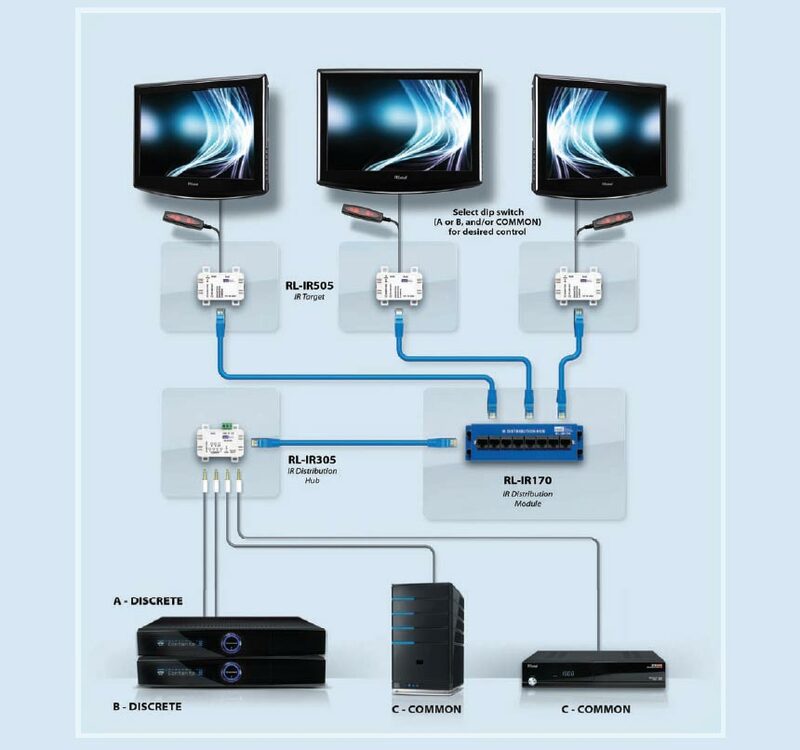 The Video Hubs can be powered directly by plug packs or remotely by resi-linx Modulators. er stand-alone AV solutions for all your composite and HD component video and audio distribution requirements over Cat 5/6. 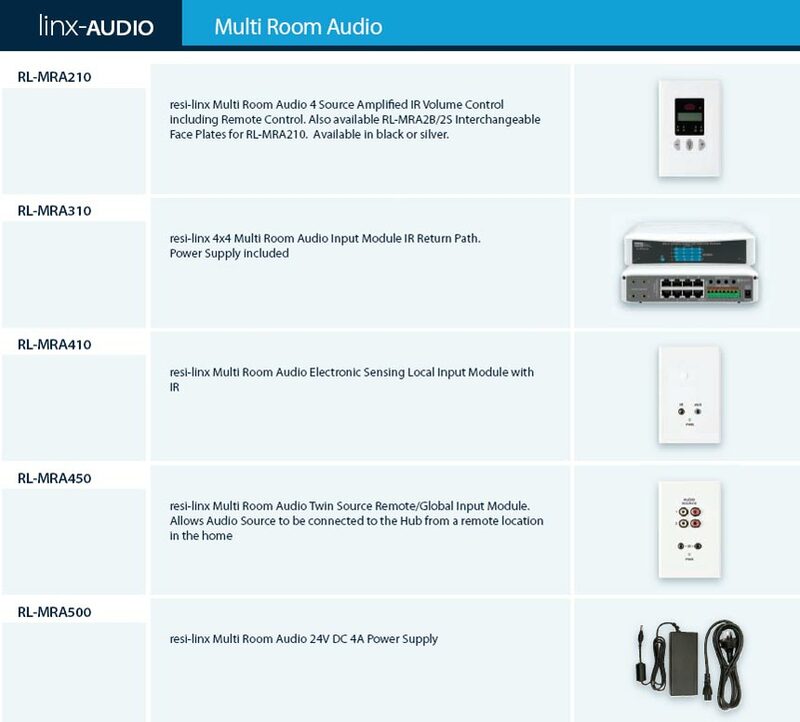 resi-linx Multi Zone and Matrix solutions allow for improved functionality by integrating enhanced audio with IR control. 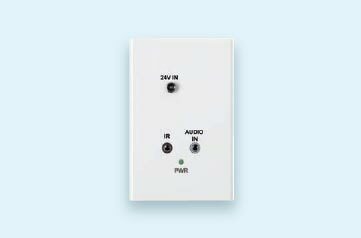 With the addition of the resi-linx Audio Input Module, audio signals distributed by any Balun within the linx-AV range can be heard through in-ceiling / in-wall speakers. 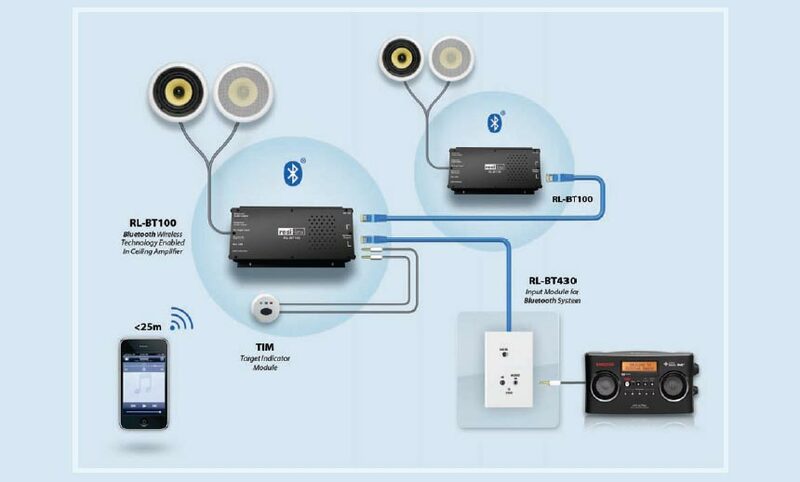 The Audio Input Module connects locally from the Receiver Balun connection to an Amplied Volume Control and speakers within that zone, greatly enhancing sound performance and is ideal for larger rooms. resi-linx Composite AV Baluns are ideal for sending an AV signal from one location to another – up to 300m away. Baluns to send component video and digital audio signals along the cable up to 100m. Both our Composite and Component Baluns are sold as a set, and use a single UTP cable. for connecting to systems for control. two cable solution. 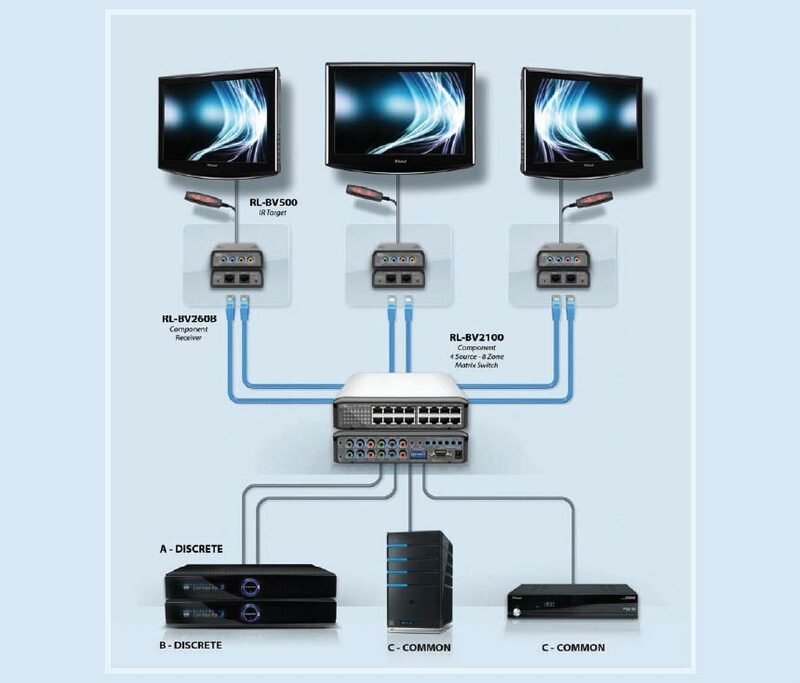 The Composite Multi Zone system allows for single cable AV distribution. resi-linx linx-AUDIO Bluetooth® range allows you to wirelessly stream audio from your portable device (iPod, iPad, iPhone, iPod Touch, etc.) around your home or business with ease, with the resi-linx Bluetooth wireless technology enabled range. Control your music with freedom, no need to be connected to a docking station and no messy wires. 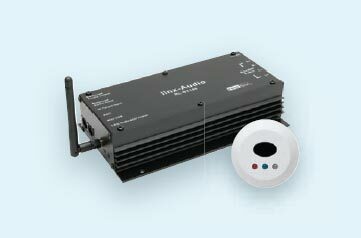 resi-linx Bluetooth receivers easily allow integration of a Bluetooth solution into any audio system via auxiliary jack. device/PC, follow the instructions and re-name- it’s that easy! Multi Room Audio/Local Input system. Complete with power supply, audio leads and POS packaging, this product suits all markets. you to adapt the product to suit your system. Includes power supply, Hi Gain Antenna and audio leads. within the ceiling. IR return path feature allows for control of the line level device. resi-linx linx-IR is a patented stand alone Discrete Infra Red System using UP (Cat 5/6) cable. 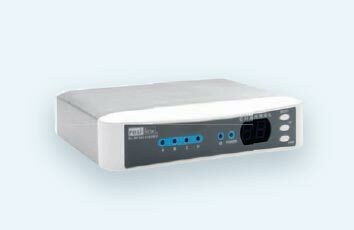 The system sends IR signals to AV devices from multiple zones back to a central location. erent rooms. 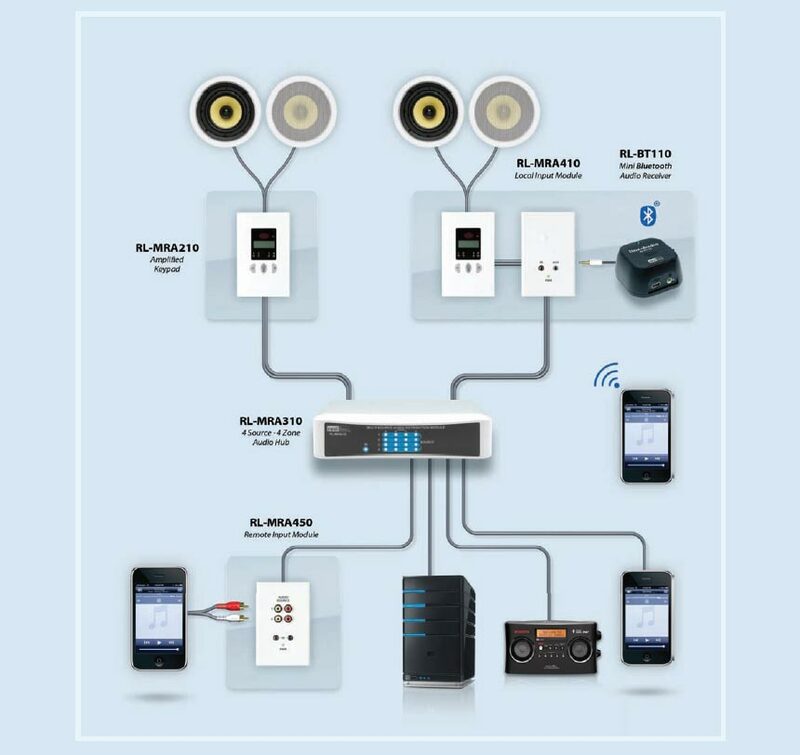 The system is easy to install using ‘Plug N Play’ connectivity, and is perfect for use with any distribution equipment including video, audio etc. compatible with both Foxtel iQ and HD. Emitter output ports are divided up to be either Common, Discrete A, Discrete B or Direct IR lead connection to an AV device. (inc. slimline target). 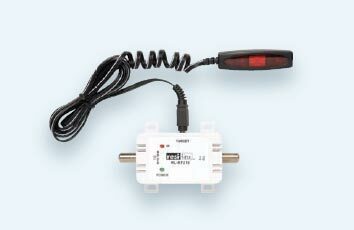 This receives IR commands from remote controls, sending the signals through the Distribution Module. Simply select via dip switch Discrete A (and/or) Discrete B (and/or) Common, and correspond to emitter ports on the Distribution Module. 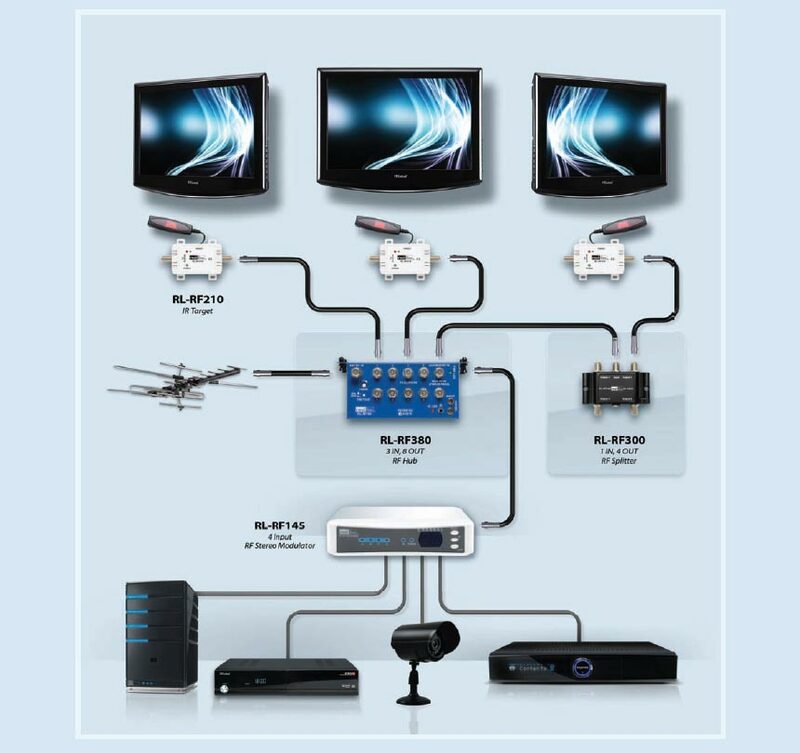 the system by using the linx-IR Distribution Hub. This versatile hub can stand alone or be mounted in a Structured Cabling enclosure, allowing for simple termination via RJ-45 and/or IDC punch down terminals. 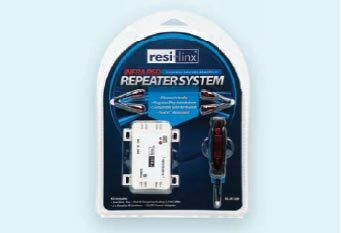 resi-linx ever popular ‘Plug N Play’ IR kit, is attractively blister packed for Point of Sale display. Perfect for the DIY and/or custom installation market. 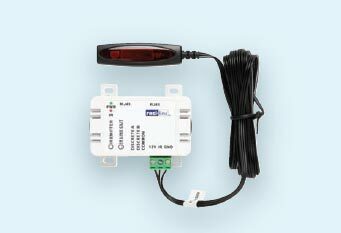 Kit includes junction box, at IR target, 2 x double emitters and power supply. 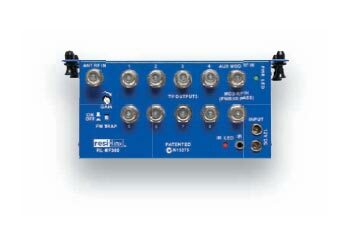 Stereo Modulators are available in single, dual and quad input models. ecting the other zones throughout the system. er 4th stage 24/24dB crossover for both tweeter and woofer for a superior sound – ideal for Multi Room Audio applications. 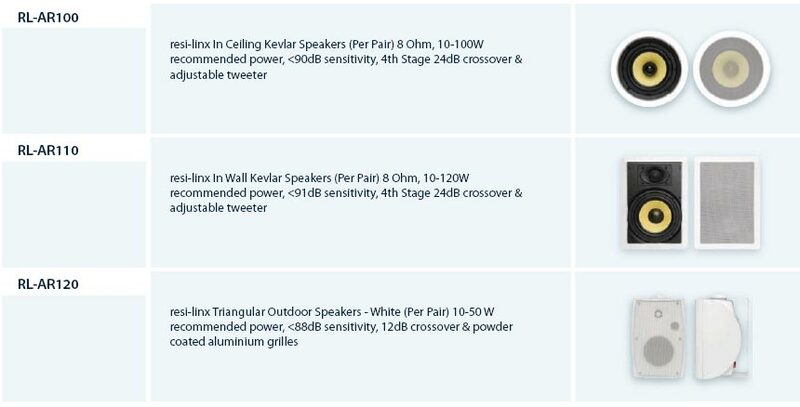 The range is complimented by outdoor speakers which come in a modern housing. 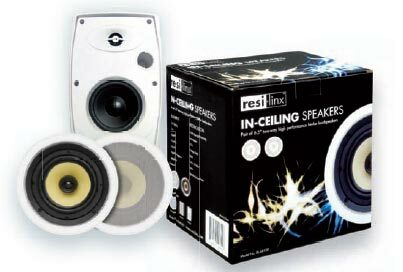 Complete with Point of Sale packaging, resi-linx speakers are the perfect attribute to your audio installation requirements. 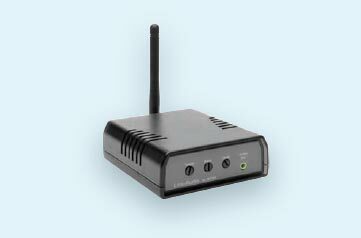 resi-linx Composite Video with Stereo Audio Balun (pair) features remote power for CCTV Camera. 1x RCA Video, 2 x RCA Audio, 1x RJ45. resi-linx Component Video and Digital Audio Balun (pair). resi-linx Quad Composite Video Balun (pair). resi-linx Active Composite Multi Zone (1:4) Balun Transmitter IR Capable, with AV Loop Through. Uses 1 x UTP Cables. Switch Mode Power Supply included. resi-linx Active Component Multi Zone (1:4) Balun Transmitter IR Capable, with AV Loop Through. Uses 2 x UTP Cables. Switch Mode Power Supply included. resi-linx Component Balun Receiver for use with RL-BV240A. Built-in IR Control with the addition of RL-BV500 Target. 4 x RCA, 2 x RJ45, 1 x 3.5mm Audio, 1 x Target input. Emitters sold separately – use RL-IR700/800. resi-linx Component Balun Receiver for use with RL-BV2100. Built-in IR Control with the addition of RL-BV500 Target. 4 x RCA, 2 x RJ45, 1 x 3.5mm Audio, 1 x Target input. Emitters sold separately – use RL-IR700/800. resi-linx Active Composite 4 Source – 8 Zone Matrix AV Switch over 1 x UTP cable. Discrete IR Capable. 4 x RCA, 8 x RJ45, 4 x 3.5mm Audio, 6 x Emitter Ports (2 x Discrete, 4 x Common), 1 x DC Socket, Power Supply. For superior audio use with RL-MRA420 and RL-MRA210. resi-linx Active Component 4 Source – 8 Zone Matrix AV Switch over 2 x UTP cables. Discrete IR Capable. 3 x RCA (4 sets), 8 x RJ45 (2 sets), 4 x 3.5mm Analog/Digital Audio, 6 x Emitter Ports, 1 x DC Socket, Power Supply. 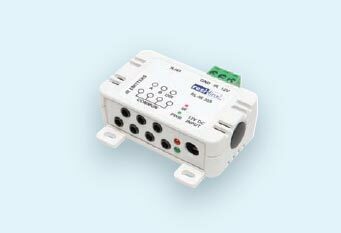 RS232 controllable for audio use with RL-MRA420 and RL-MRA210. Receiver Kit including Power Supply. 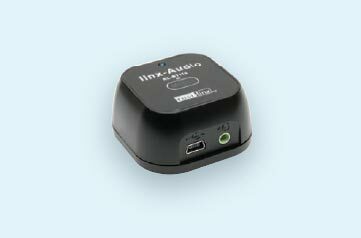 resi-linx Professional Bluetooth Audio Receiver Module. Includes Hi-Gain Bluetooth Antenna and Power Supply.